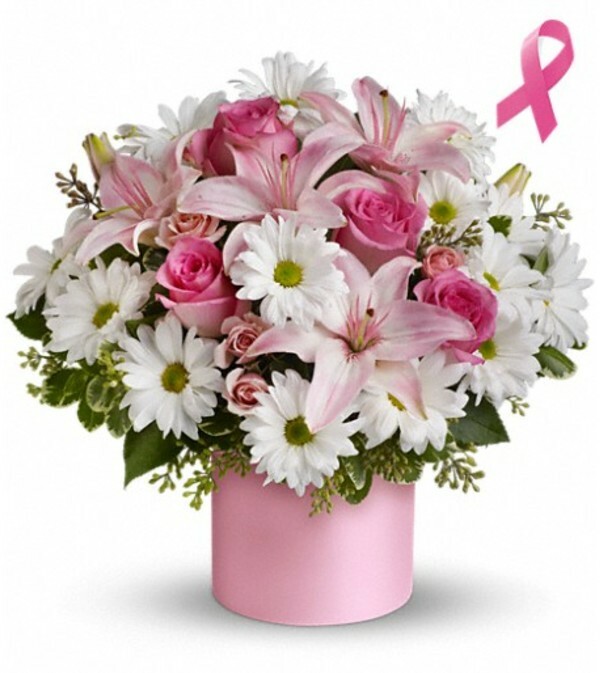 Celebrate the fabulous female in your life with pink roses and lilies in a satiny pink cylinder vase. She'll be thrilled with this charmingly feminine gift - and touched by your thoughtfulness. 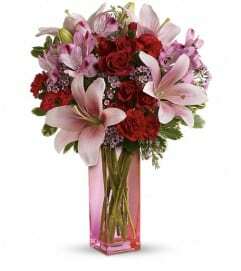 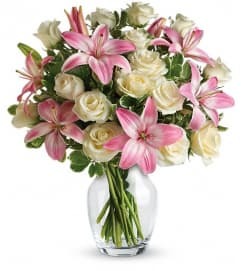 The lovely bouquet includes pink roses, pink spray roses, pink Asiatic lilies and white daisy spray chrysanthemums accented with assorted greenery.